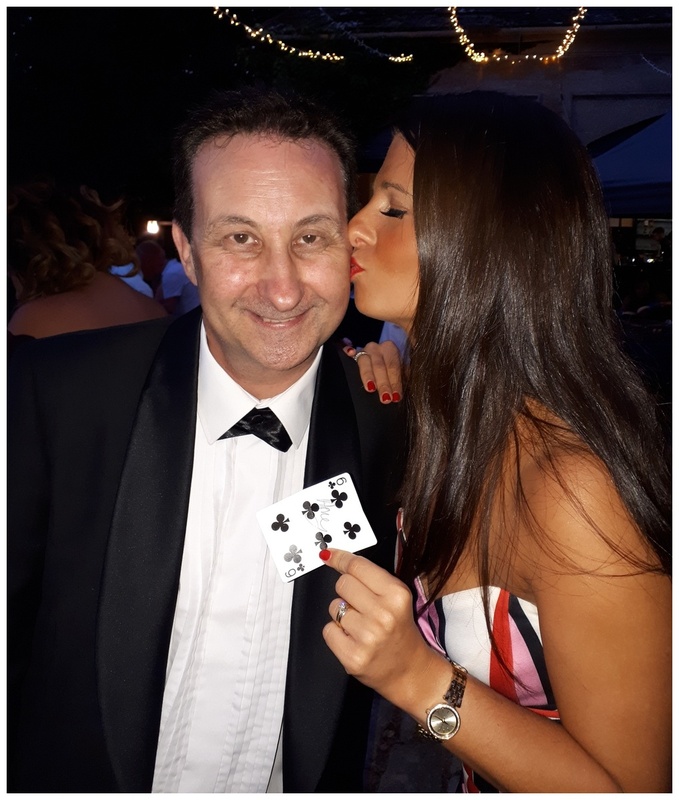 Professional close up magician in Hampshire who is available for weddings, parties and events in Eastleigh, Winchester, Fareham, Lymington, Romsey, Petersfield & Fleet. Andy is a past S.A.M.S. Close up Magic Champion. A specialist in walk around and table top magic for events. Powerfully constructed sleight of hand magic. A wedding and birthday party entertainer who will unite and break the ice! Enthralling, amazing and totally satisfying magical illusions! Hampshire “Money Magician” Andy Field. Impossible sleight of hand conjuring with bank notes. 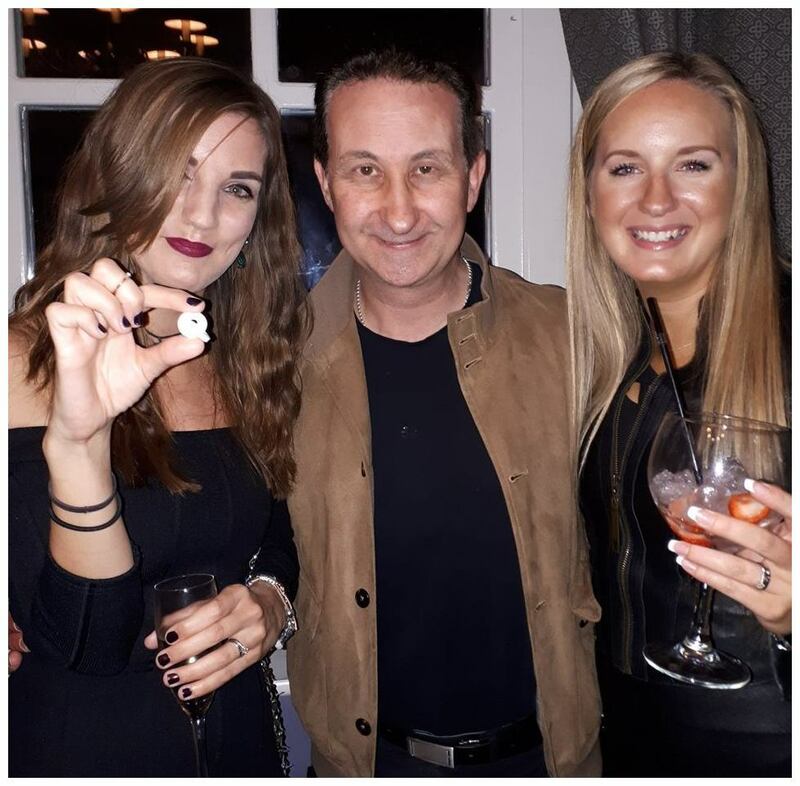 Hampshire magician Andy Field performs amazingly powerful magic. He interweaves this with hypnotic presentations! This magical combination creates a marvellous experience for your wedding guests encouraging them to unwind while attending your Hampshire wedding or birthday party event! This in turn results in a powerfully charged atmosphere. Guaranteeing the cherry on the cake for all your hard work and planning. Hampshire magician Andy is a highly motivated and passionate performer who wants to deliver a five Google star performance at your wedding. Andy also performs his magic around Eastleigh, Winchester, Fareham, Petersfield and Fleet. Hampshire birthday party magic to amaze and melt your heart! 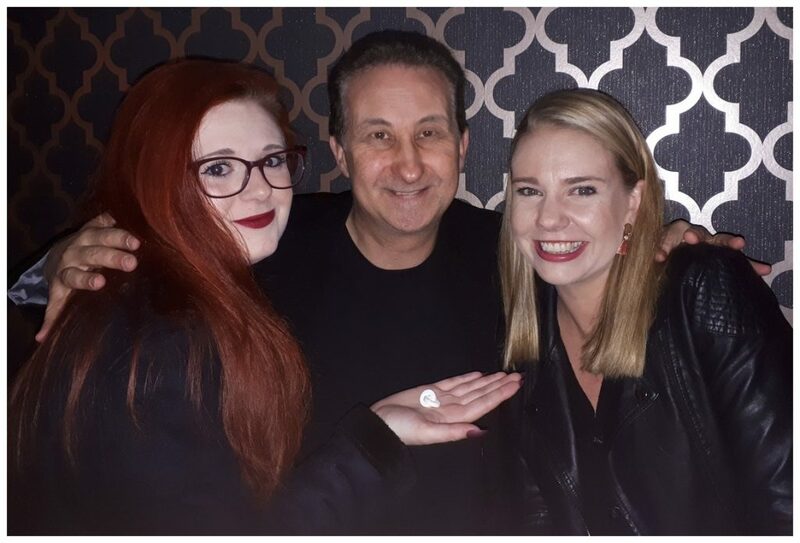 Andy prides himself on being able to provide his clients with strong and entertaining magic. You will find that this is reflected in his constantly updated online Facebook reviews. He is fortunate enough to be one of the most reviewed Facebook wedding magicians in the UK. Eradicate the slightest risk of any party lulls and ensure your partygoers are sent home motivated and delighted! What more could you possibly want! Magician Andy Field has won the S.A.M.S. Championship of Close-up Magic on two individual occasions. His YouTube channel has hundreds of thousands of views for his close-up card trick illusions. Take a peek at Andy’s performances. His knowledge and expertise as a magician has helped the BBC in the production of their hit television drama “Hustle”. Andy’s birthday party close up magic has also been described as being beautiful, elegant, captivating and of course phenomenal! Andy says there is no point in doing magic that is otherwise! His personality is reviewed on social media as being friendly, charming and very amiable. Please read and peruse through his Facebook Page to find out more. Please fill out the contact form. Andy or Lisa will answer in a very short space of time with all the information you require. 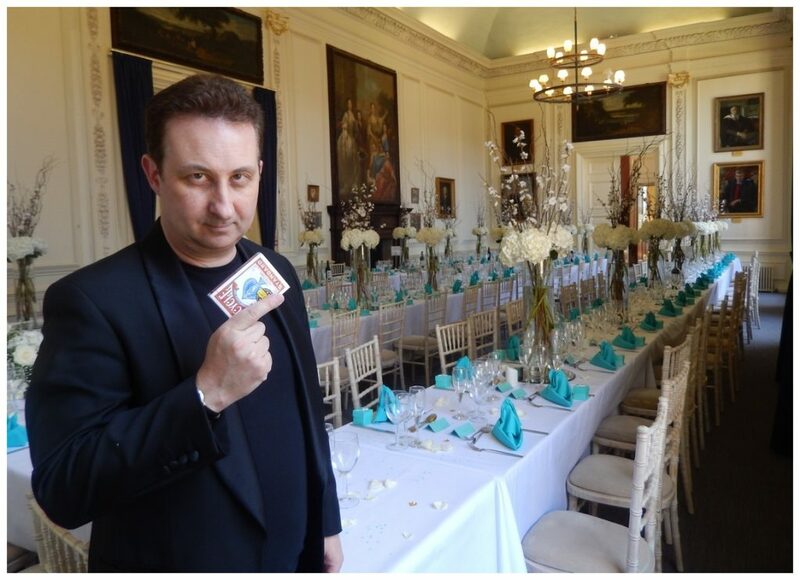 Eye widening close up magic for your Hampshire wedding or birthday party! It is worthwhile to point out that the length of the performance time is important. The ideal scenario would be to have Andy perform just long enough for everyone to see him. We will use the information that you supply on your enquiry form to suggest what we feel would work best for your event based on our years of past experience. 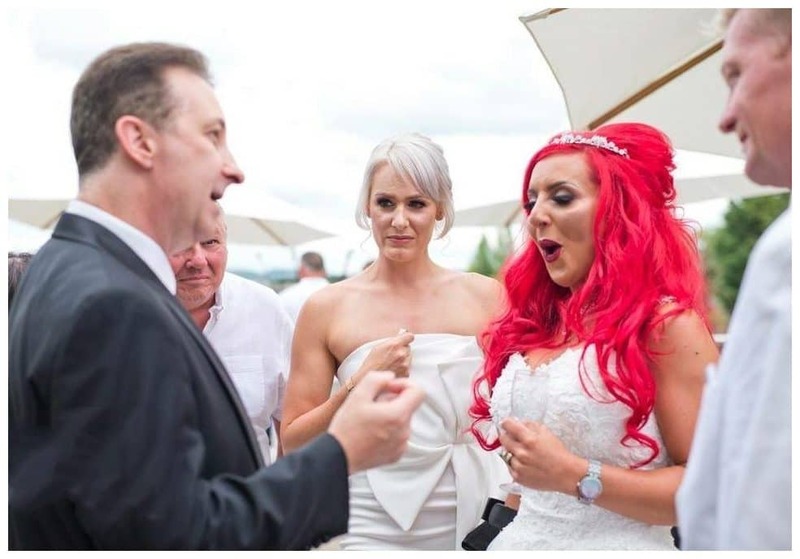 Magician Andy can easily structure his performance to work around other elements of your day such as the speeches. Sometimes the Bride and Groom are so busy doing wedding day duties they do not always get to witness and experience some of Andy’s close-up magic! This is not acceptable! They only get to hear how good he was from their guests after he has left! 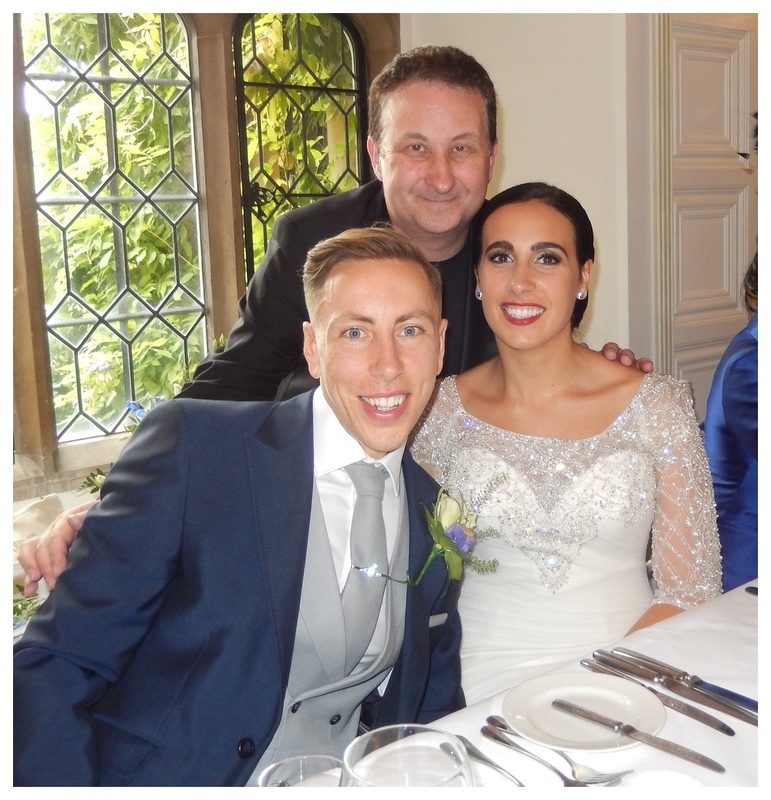 However, if you both have time on your special day Andy has an astounding bespoke performance for you both. A short performance mixed with magic, mystery and the hint of romance resulting in a little souvenir piece that you will want to retain! Ice breaking magic that will unite and entertain! Andy is a very helpful fellow. For instance he can visit individual tables at your event to perform his close up magic set. The tools of Andy’s trade are playing cards for sleight of hand, money, finger rings, keys, dice and thousands of hours of practice! Andy is a very popular entertainment choice for Hampshire weddings and parties! 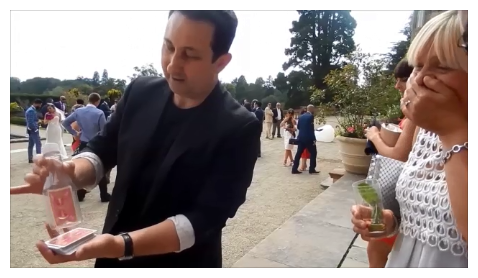 Magician Andy will use all his sleight of hand skills and knowledge to create a devastating impact at your wedding, birthday party or corporate event! Excellent value comes as standard when Andy performs! This will create excitement for those who watch him perform and impatient anticipation for those who are waiting to see what Andy can do for them! The end result is an excellent and exciting atmosphere created for your event! Why have stagnant moments during your wedding day or party when you can have exciting moments instead? All events have lull moments. Let Andy step in replace those moments with his magic. 1. Hear everyone cheering and clapping as Andy performs around a table during the wedding breakfast in between food servings. That will give any Bride a warm feeling in her heart! 2. Go and have your Bride and Groom pictures taken with the relaxing peace of mind that Andy is engaging and captivating your family and friends. 3. Andy’s hosting and magic skills can provide an excellent ice breaking opportunity at the start of your evening reception. A fuse to set the party off with a bang! 4. There are no rules as to when to have Andy support your wedding or party. It’s your day you are free to use him at any moments that you feel are appropriate. Drinks receptions and room changes are other excellent examples when charging the atmosphere. This will keep everyone happy, engaged and on an excited high. To accompany his nimble sleight of hand magic skills, magician Andy also supplies mind reading! He creates the impression of being able to extract thoughts and ideas out of the minds of your guests! Let Andy make a strong and emotional connection with your family and friends! This part of Andy’s act is extremely popular. Overall it is full of appeal and suspense! Once your guests realise that Andy does not reveal anything private or personal, and that everything is done in good spirit, they will soon be queuing up to have him read their thoughts too! Three borrowed rings linked together. One way to unite people! 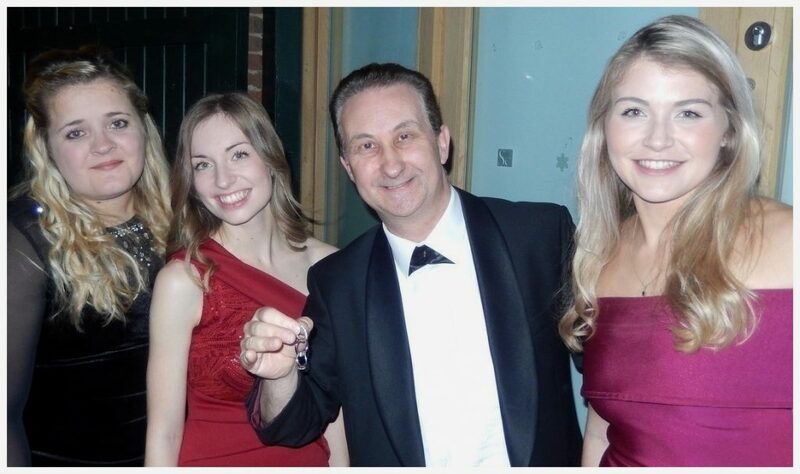 Magician Andy also supplies magical entertainment for private charity events and fundraisers. Because these events are bespoke it is best to contact Andy or Lisa to discuss your requirements and to see how we can best help serve you at your wedding, party or corporate event. Magic can be a great hobby to take up. Aside from being able to learn sleight of hand it can also help to increase your confidence.  To find out more about the magic tuition Andy can offer and how it can help you visit his magic coaching page.